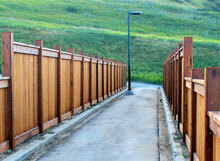 D. Floyd Construction works closely with our clients and end users in designing and building a variety of fencing and wall options. End use and customer expectation come into play as some customers know clearly what they need while others work with Floyd Construction to provide innovative and useful products and designs best adapted to meet our customers’ requirements. 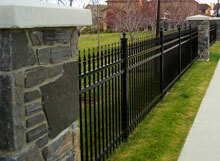 With all fencing and wall options available to be supplied, we look to provide the best product for the intended use, whether it is based on visual appearance and beauty, final cost of the project, intent and function or any other factor that allows decisions to be made on the final type of product to be used and installed. 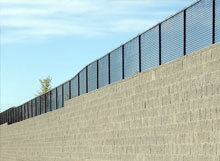 Combinations of decorative walls, retaining walls and fencing either on top or around such features provide clients with a full range of options dependent on the specifications provided or the final use of the product.